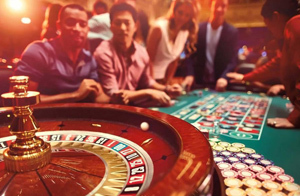 It was recently shown that the African gambling market – with an emphasis on the South African casino industry – has far outstripped the predictions made about it several years ago. It was only four years ago that PricewaterhouseCooper predicted that gaming industry revenues in South Africa are expected to rise to R30 billion this year. In 2017, the report was updated to reflect the reality of the times, and the predicted number grew to R31 billion. 2019 has just begun and it is still not known if those numbers are correct, but it is generally expected that they will be at least R31 billion, and even more. Why is this? Why does the South African gambling industry continue to grow at such a fast and steady pace? Calvin Ayre points out that a hint may be found in the latest report published by the Gauteng Gambling Board. The report, Latest Gambling Stats, shows that the number of Limited Payout Machines nearly doubled in the province in 2017. If this trend happened in the other provinces across South Africa, it comes as no surprise that the industry did so well. The growth of South Africa’s gambling market is also being mirrored in other African states. Take Nigeria as an example, where online sports betting continues to flourish at an impressive rate. With the demand for online sports betting comes the need to provide quick and convenient mobile payment systems. Local banks report that while 14 million web payments were made in Nigeria in 2016, that number jumped to 29 million just one year later. Today, the Nigerian online sports betting industry is worth around $620 million (R8,476,000,000). There are also big hopes for Kenya, which is set to receive 5G broadband cable this year. With better technology comes faster online sports betting and more convenient mobile payment. The upgraded broadband cable couldn’t have come at a better time, nor to a better country, where a massive 80% of its population has access to the internet. Top names in the industry such as SportPesa operate very successfully in Kenya’s market, with online sports betting considered the most popular form of gambling for local players. 2019 promises to be an exciting year for gambling across Africa, with growth expected across the board.